VA 155 connects the courthouse area for Charles City County with the courthouse area for neighboring New Kent County. This view is westbound on VA 5. Photo by Adam Froehlig, taken in 2002. This view is eastbound on VA 5. Photo by Mapmikey, taken May 5, 2006. 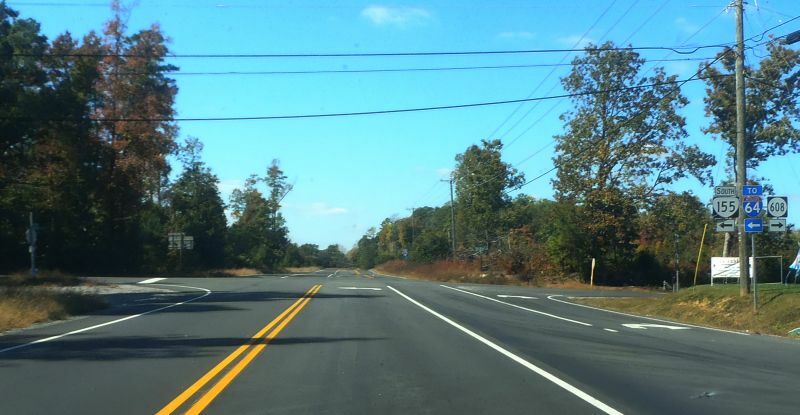 This view is westbound on VA 249. Photo by Mapmikey, taken October 16, 2012. 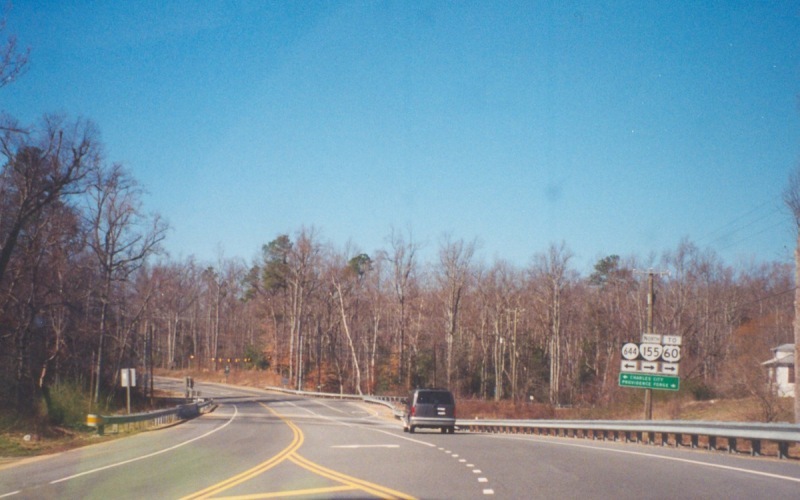 This view is eastbound on VA 249. Photo by Mapmikey, taken September 9, 2006. From 1933-43 VA 155 ran west along today's VA 249 then turned north at today'S VA 106 to end at St. Peters Church. 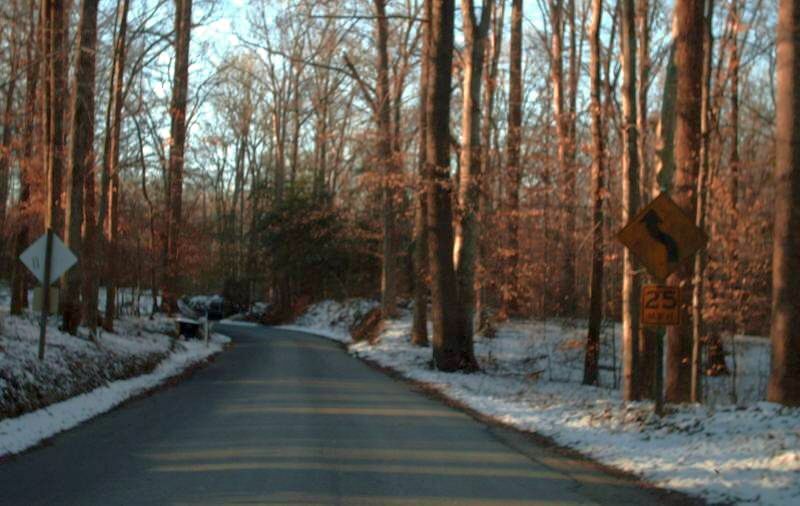 This is the view of old VA 155 (now SR 642) reaching the church. Photo by Mapmikey, taken January 21, 2008. 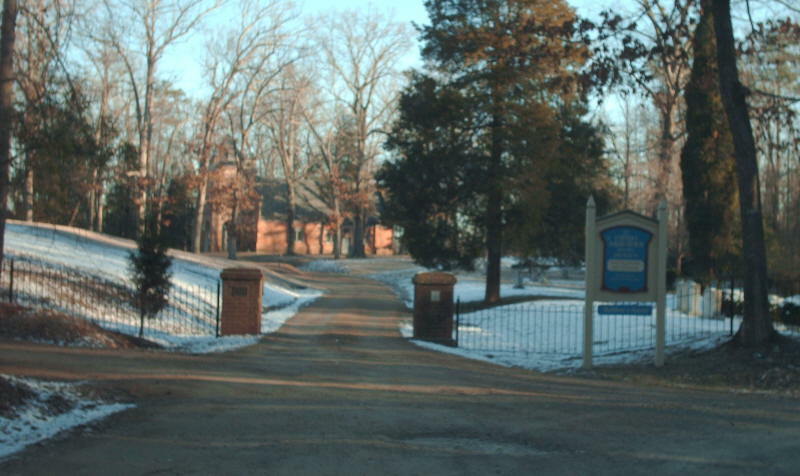 This is the view of old VA 155 (now SR 642) leaving the church. Photo by Mapmikey, taken January 21, 2008.